IFT was appointed by BAM Construction who were awarded a £10 million contract to fit-out the new terminal extension at Edinburgh airport, which forms part of a wider £80 million investment in the airport. 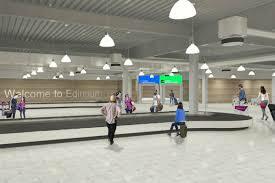 The new three storey terminal building will provide expanded domestic and international arrival facilities including baggage reclaim, border control, additional food / beverage outlets, expanded lounge space and new office accommodation at Scotland’s busiest airport. The IFT team installed 9,000sqm of K-Screed and 8,650sqm Self Level Screed to the new south east pier extension, three new stands (including all the link corridors), and all the floors in the new three storey extension. Working both landside and airside, the team had many challenges to overcome due to limited access, tight timescales, as well as co-ordinating the works alongside multiple trades who were working on-site in close proximity to each other.